I am very excited to be sharing another tutorial with all of you. I know it has been a while since my last tutorial here on the Moda Bake Shop. You can check out all my MBS Tutorials here. When we go to resturants, sit down and fast food, my kids are always on the hunt for the coloring sheets and crayons. Some places have them and others don’t. 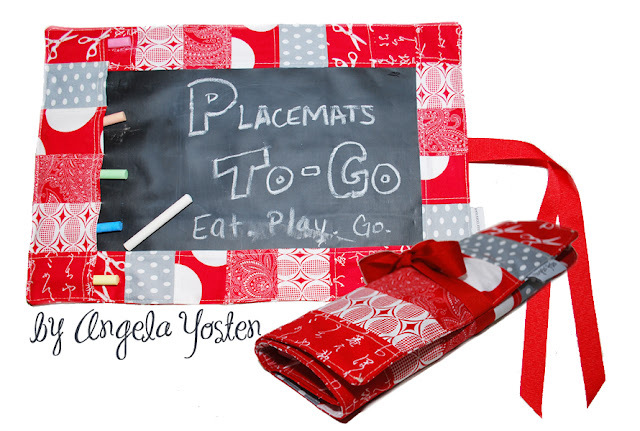 So, I decided to come up with a quick and easy roll up and go style placemat that can easily be cleaned from any kind of kid art whether it is from chalk or food. I hope you enjoy and be sure to check out my blog for a Giveaway. 1. Separate your Jelly Roll strips into 7 groups (6 strips per group). You can mix and match how ever you want. 2. 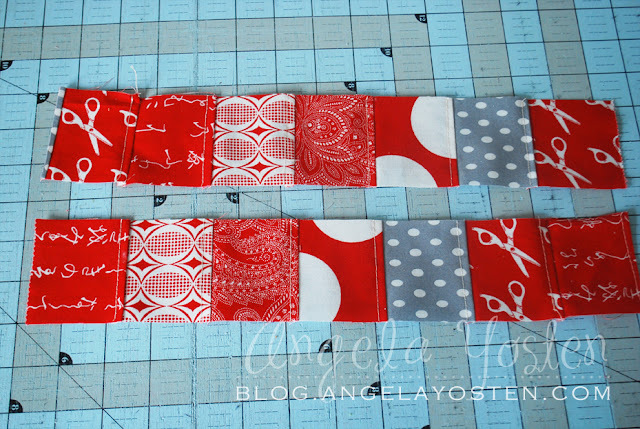 Sew each group of 6 strips together and press seams in one direction. 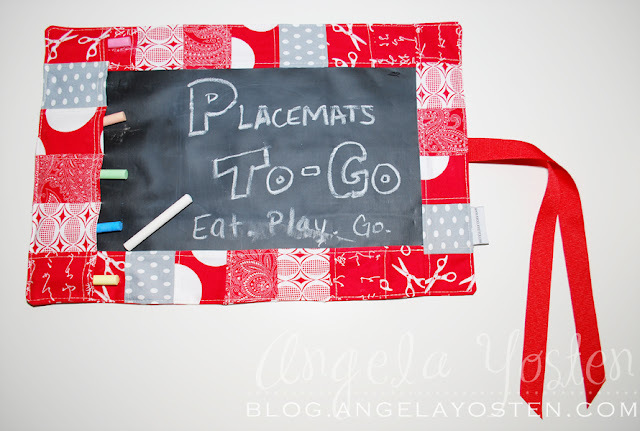 Do this for all 7 groupings for each placemat. 5. 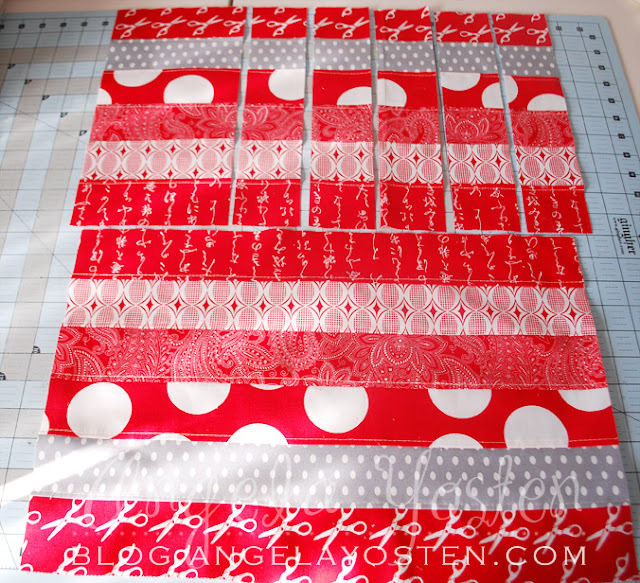 Fold the piece that measures 6″ x 12 1/2″ in half lengthwise and press. 6. Topstitch the folded edge 1/8″ and 1/4″ from fold. 7. 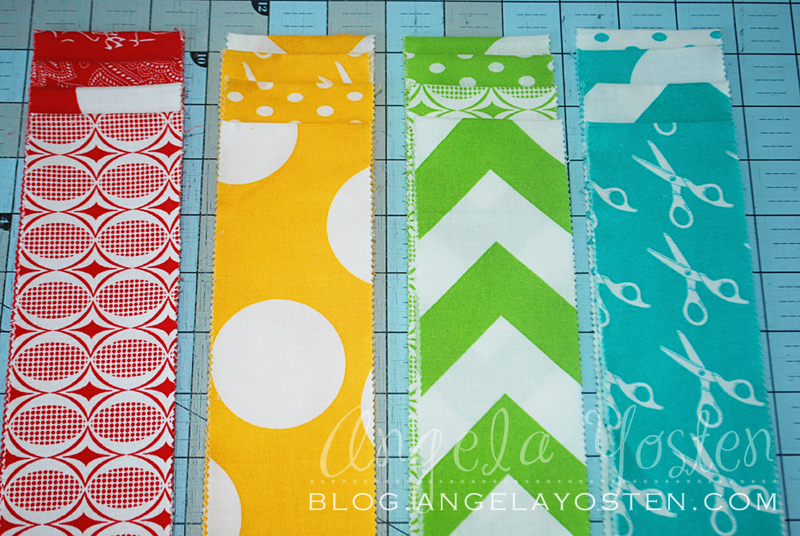 Stitch together 3 of the pieces that measure 2 1/2″ x 12 1/2″ end to end to make one long piece. 9. 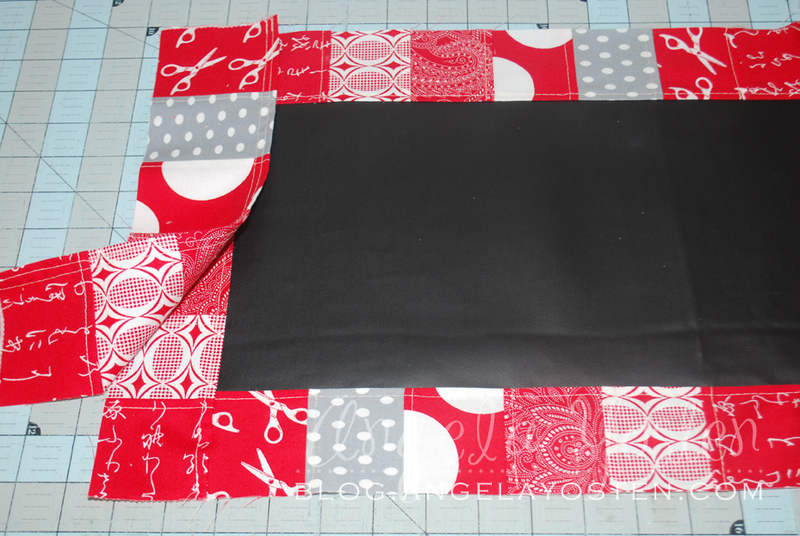 From the Chalkboard Cloth, cut 7 pieces out measuring 8 1/2″ x 14 1/2″. 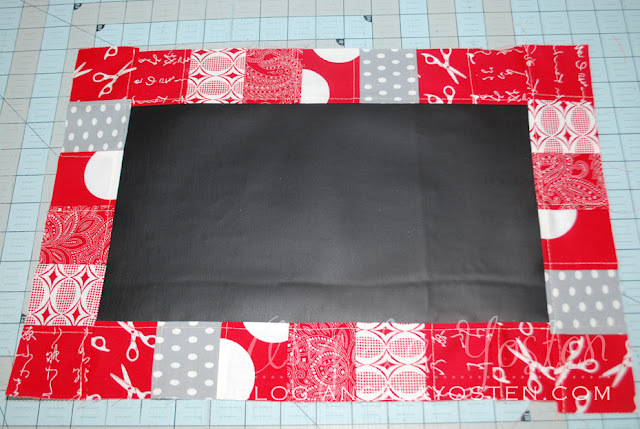 Stitch the two 14 1/2″ x 2 1/2″ strips to the top and bottom of the chalkboard cloth with right sides together. 10. 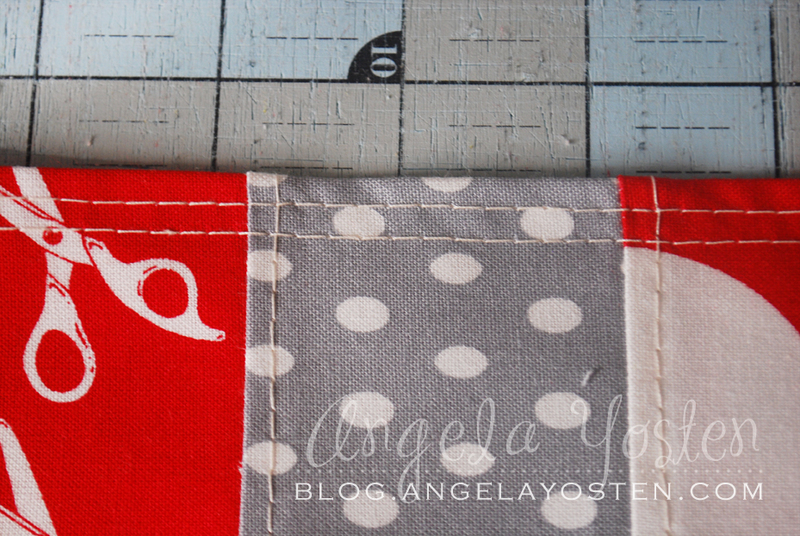 Topstitch with the seams going towards the strip fabric piece. 11. 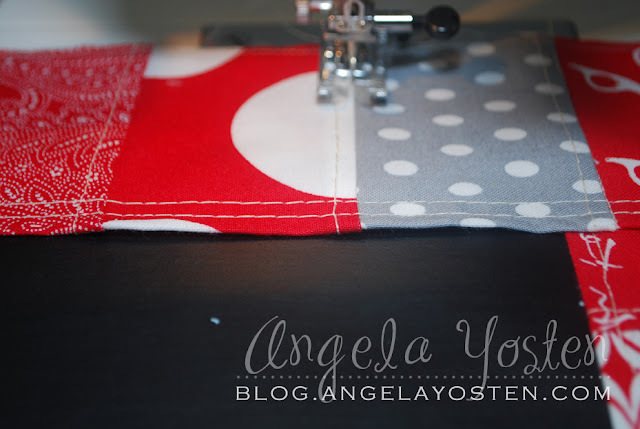 Stitch the 2 strips measuring 12 1/2″ x 2 1/2″ to the right and left of the chalk cloth and topstitch. 12. 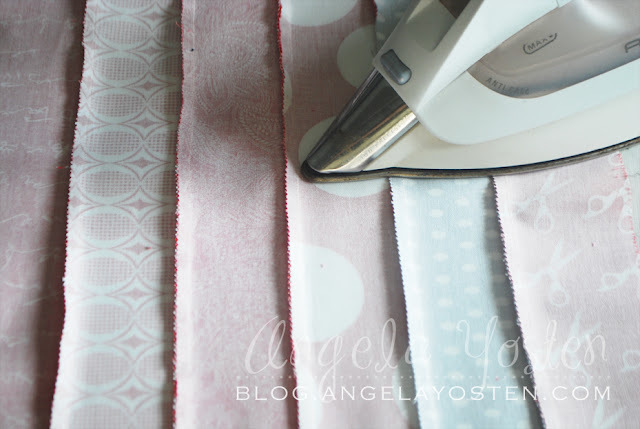 Lay the folded strip with the raw edges matching on one side of the placemat. 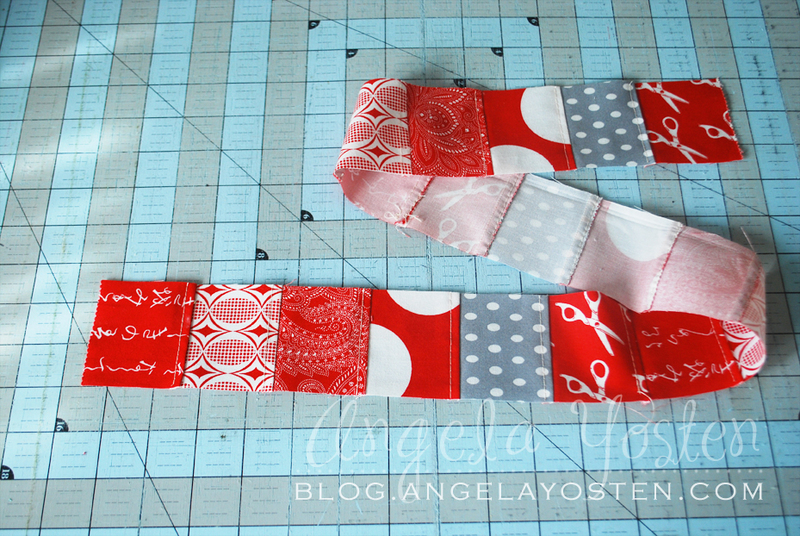 This will be the pocket for the chalk pieces. 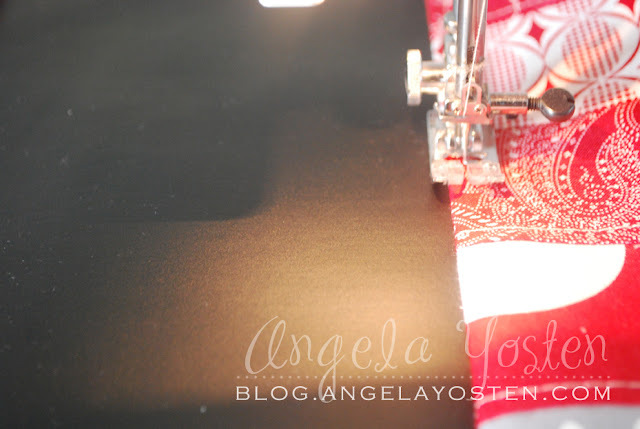 Stitch 1/8″ around the raw edges only to hold into place. 13. Stitch along the seams of the pocket to create the individual pockets for the chalk. 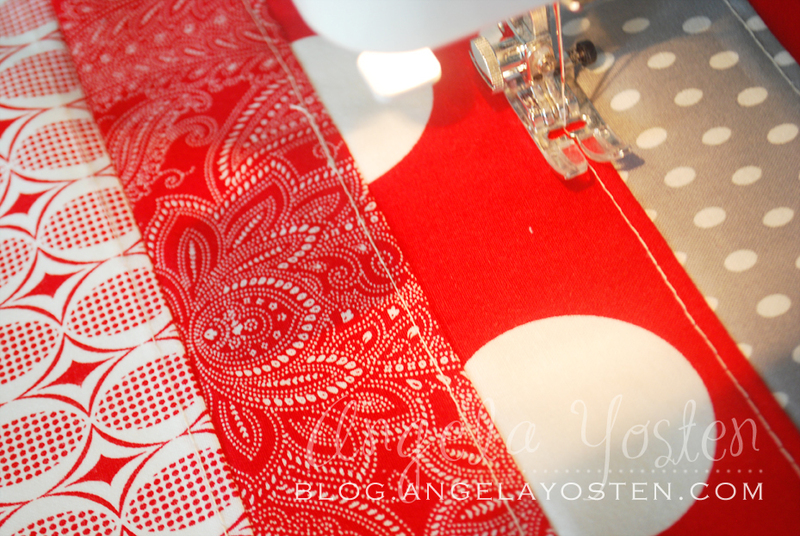 Be sure to backstitch at either end so your stitching does not come undone during use of the placemat. 14. 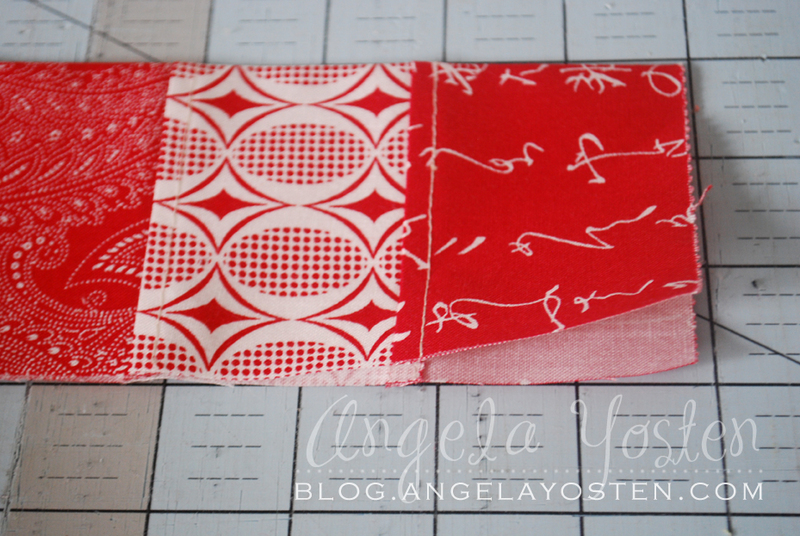 Match the front and back pieces of the placemat right sides together. Pin in place. 15. Cut 2 pieces of ribbon 14″ long for each placemat. Place 2 pieces centered on the opposite side of the pocket. The ends of the ribbons should be on the inside of front and back pieces. Pin in place. 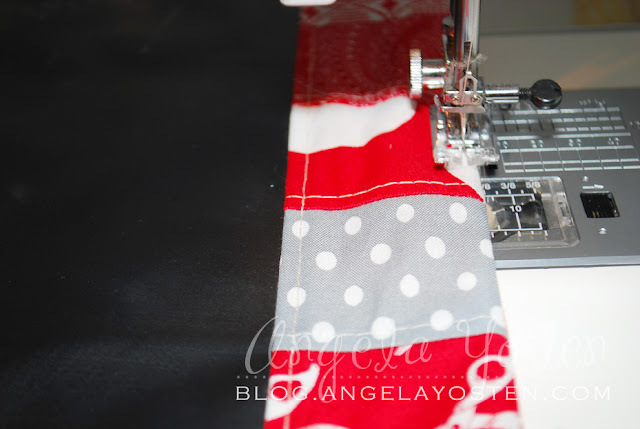 Stitch 1/4″ along all four sides of the placemat, securing the ends of the ribbon in place. Leave open a 4″ opening to flip the placemat right sides out. Flip right sides out. 16. 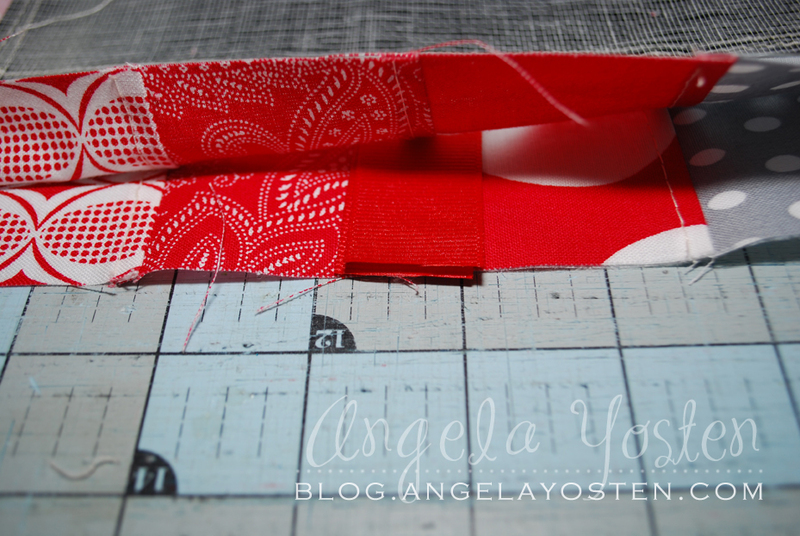 Press only the fabric pieces. DO NOT IRON THE CHALK CLOTH. It will melt. Topstitch 1/8″ along all four sides to finish and close up the opening. 17. Draw on your placemat and wipe clean with a damp cloth. You could even cut up a small soft sponge to put into one of the little pockets instead of the chalk so you always have an eraser with you. Roll up, tie and take with you wherever you go. 1 Jelly Roll will make a set of 7 Placemats. Don’t forget to check my blog for a fantastic Giveaway! 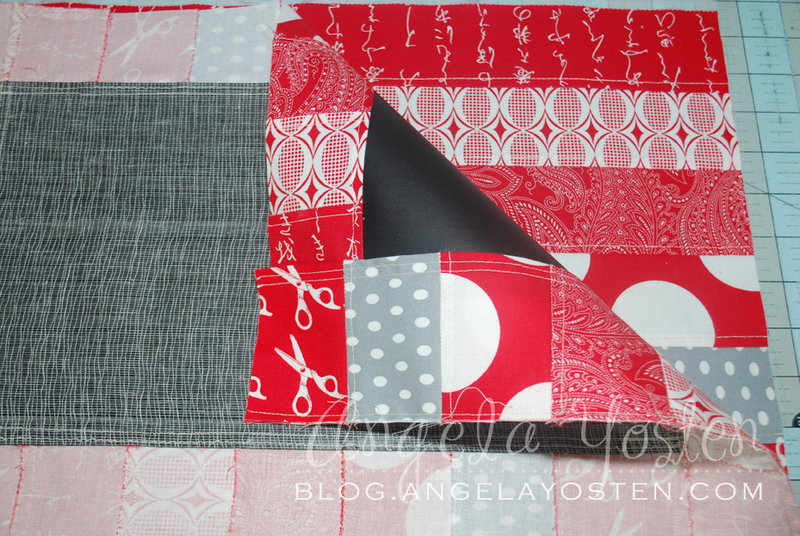 This entry was posted in Baby and Kids, Jelly Roll, Moderate and tagged Half Moon Modern.